Lester and Trisha Wooldridge founded Wooldridge Heating, Air & Electrical in 1975. Their commitment to customer satisfaction can be seen every day through their dedication. Wooldridge is employee-owned. When you contact Wooldridge, you always speak directly with an owner. 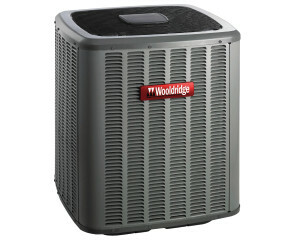 We are the area’s largest residential dealer for heating and cooling equipment. Our own Wooldridge brand equipment will provide you with quiet cooling and heating all year long. We are committed to offering you free consultations and estimates before you commit to us.